TORONTO - The Canadian dollar was slightly higher Tuesday as oil prices continued to advance on hopes the worst of the plunge in oil prices may be over. The loonie was up 0.02 of a cent to 79.53 cents US on top of a rise of about eight-tenths of a cent Monday. Oil prices have surged 10 per cent over the last two sessions amid news of a big drop in U.S. drilling rig counts. 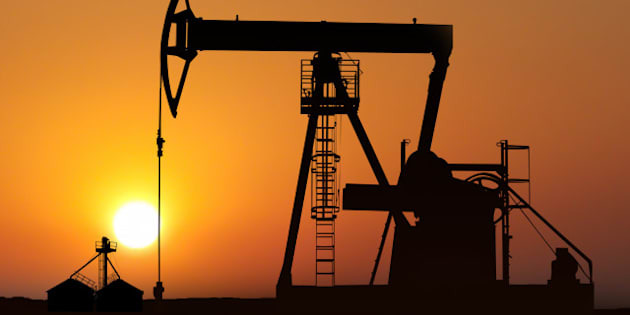 On Tuesday, the March contract in New York was up $1.28 to US$50.83 a barrel but prices are still down about 50 per cent from the most recent highs reached last June because of a huge oversupply of crude on world markets. Besides drastically cutting the number of drilling rigs, oil companies have also responded to oversupply by slashing capital spending plans and in some cases cutting production. The big drop in oil prices has helped send the loonie down almost seven cents just since the start of 2015. Elsewhere on commodity markets, March copper jumped seven cents to US$2.56 a pound. April bullion lost $2.20 to US$1,274.70 an ounce. On the economic front, U.S. home values rose at a modest pace in December as real estate data provider CoreLogic says home prices rose five per cent from 12 months earlier. That is down from the 5.5 per cent price gain recorded in November. It's much lower than the double-digit gains that occurred last year. Later in the morning, investors will digest U.S. factory orders data for December. And on Friday, they will take in the major report of the week — the U.S. government's employment report for January, which is being released Friday. Canadian job numbers for January also come out Friday.